The Changes: Guide Tones for Jazz Chords, Lines, and Comping is offered for beginning to advanced players as a way to visualize guide tones on the fretboard. From these shapes lines can be created for soloing and voicings can be built for comping and chord melody. Most importantly, the changes of the progression being played can be heard with only a few notes. The simple approach is always best; guide tones are easy to play and are how the ear identifies a chord progression. Embellishing guide tones is what improvising musicians from baroque to bebop to beyond have been doing to make the changes. 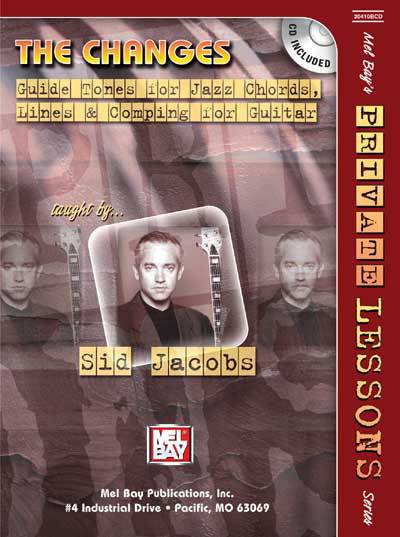 Companion CD includes all exercises.